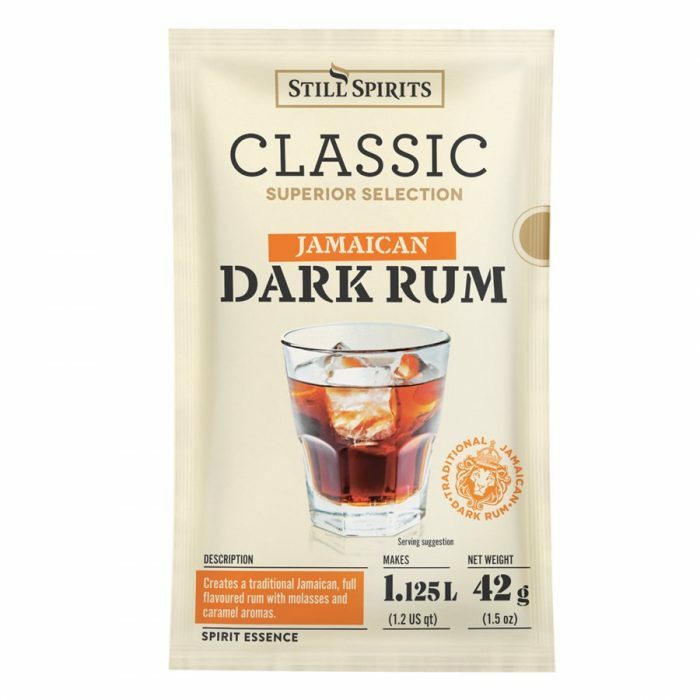 Dark Jamaican Rum Sachet creates a smooth golden molasses style rum that you would find in the Caribbean. These sachets are a nice alternative to our flavorings used for the same purpose. Test them side by side for comparison or use them both together! We’re proud to introduce these awesome flavoring packets into Mile Hi. Easy to use! Simply add one sachet’s contents to 1.2 qt. of 40% ABV neutral spirit. Get rid of any remaining essence content from the sachet by rinsing with neutral spirit. Ingredients include natural rum flavorings, water and coloring (150a caramel). Includes sulphites. For best shelf life, store in a cool, dry place away from sunlight.